Thank you Pastor T. I love this series. Truly AWESOME!! It has helped me gain some clarity in my life. ..clarity as to why I sometimes feel like I am stuck in quicksand!!! Yesssssss I am his disciple…called to a lifetime of CONTINUOUS repentance and transformation! !….and I can’t be exposed to this AWESOME gospel and not participate in it. Of COURSE!!! FSS IS ACTIVE, MOVING!! no wonder I am uncomfortable/ stuck just vegetating….haha. …and yesssssss I can attest that resisting this life with Christ hurts like HELL!!! ….ouuuuuch!!! …haha…but brings MIND BLOWING JOY ..I am truly HAPPY…AMEN TO THAT! !..THANK YOU!! this series has taught me lots. . .feeling blessed to be loved by the unconditional covenant love of my father….And btw, I always knew that Christ in me had pink glasses… Hahaha. Thanks for being such a willing participant in His shared grace! I have, personally, hardly witnessed a person being so transformed in personality and style by Him in and as His Gospel! As you are stating: The God acting in and through us as both Grace and Judgment in His faithful “Love without any strings attached” is both an ouch and a mind-blowing, joy-filled Wowsa! Love and Every Blessing to You in Christ! 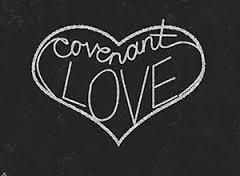 I am now,in Christ,everythihg God wanted or wants me to be.Thank you Incarnate Jesus for being the unconditional love response in the covenant.You are truly the perfect substitute and representative for me. Peace, Love and Every Blessing to You and Yours in Him!